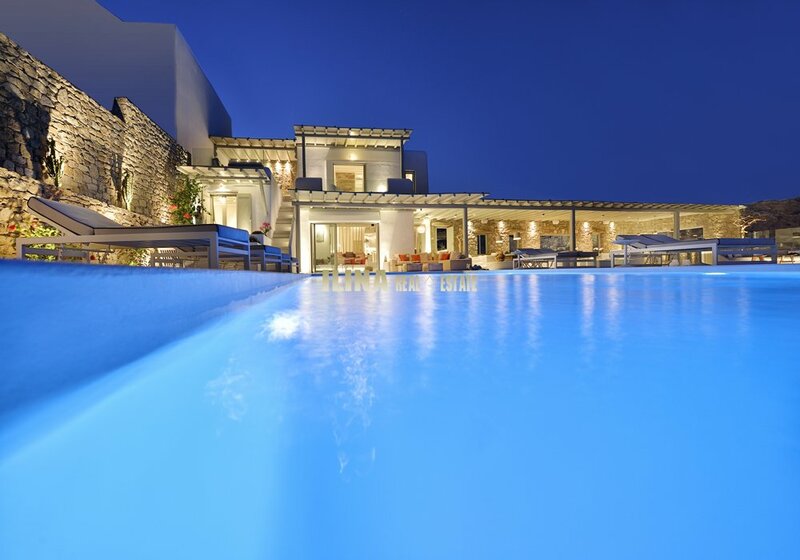 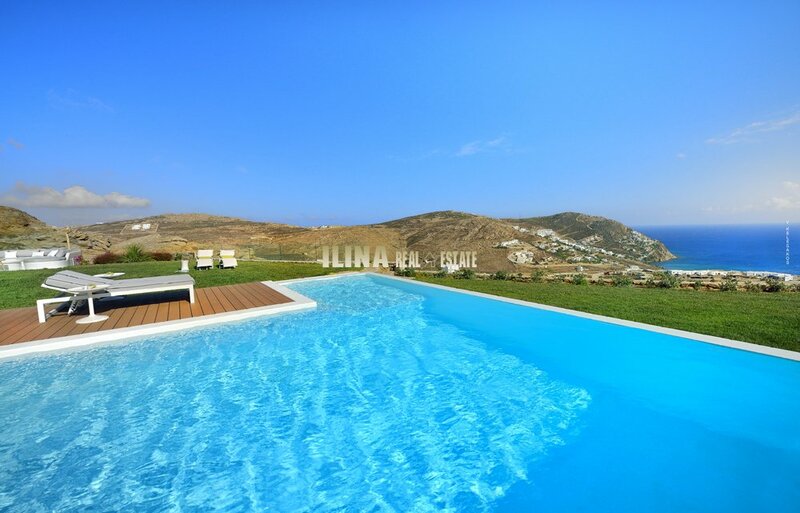 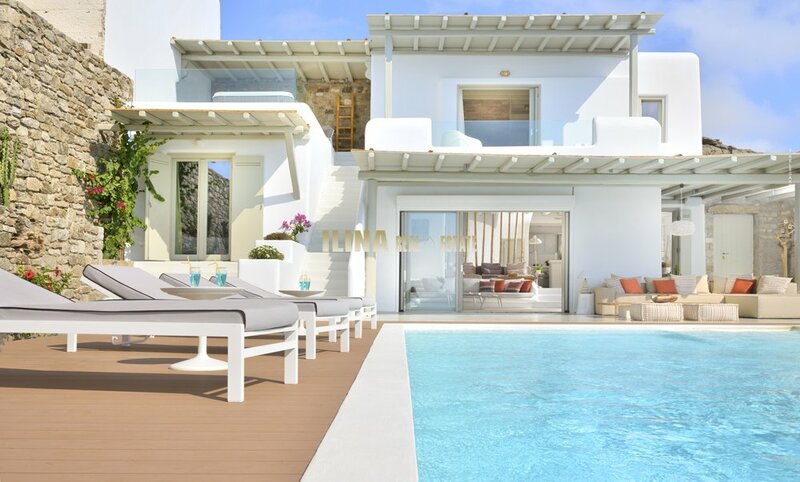 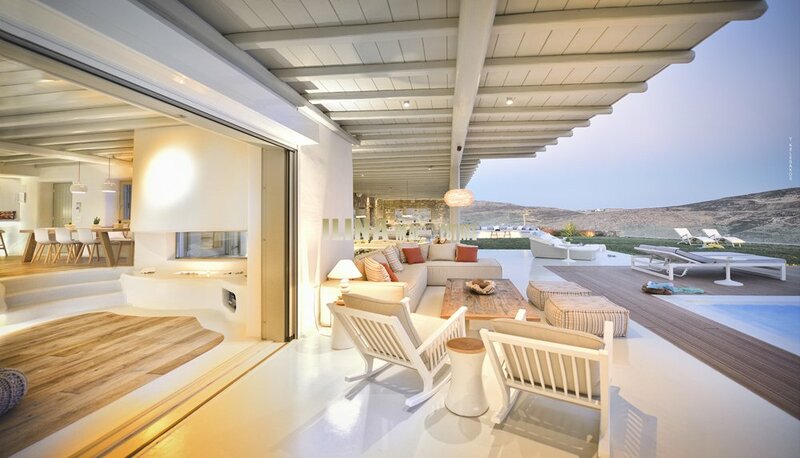 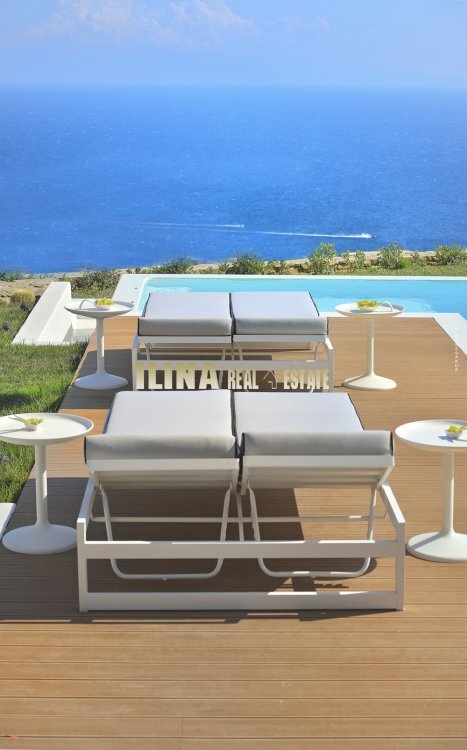 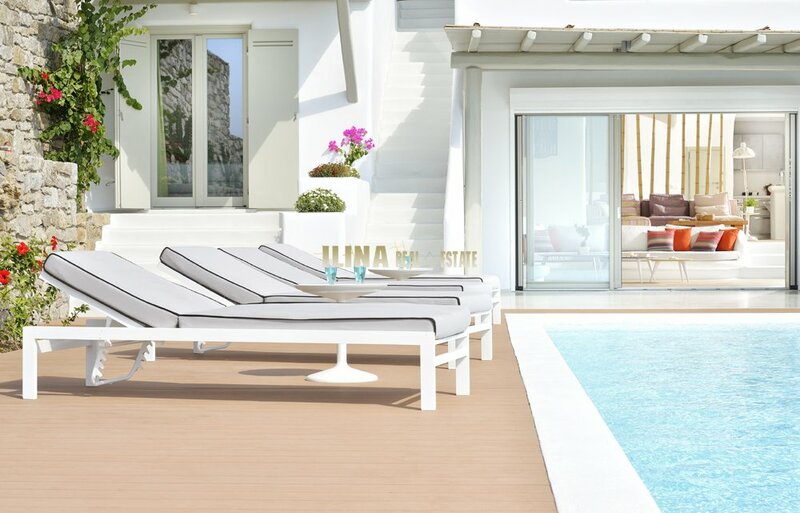 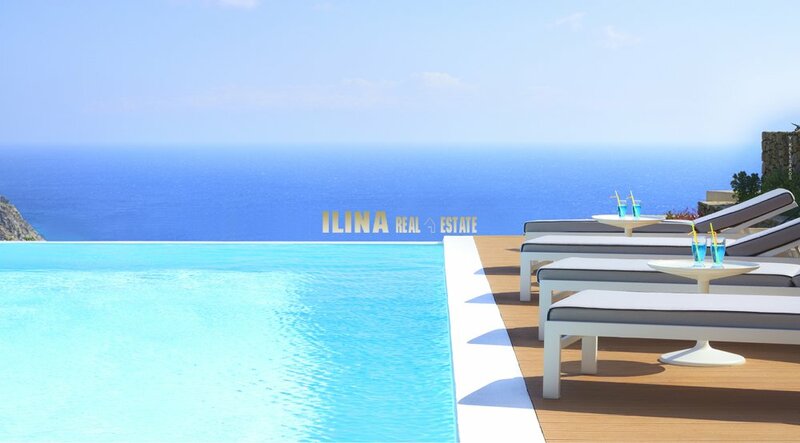 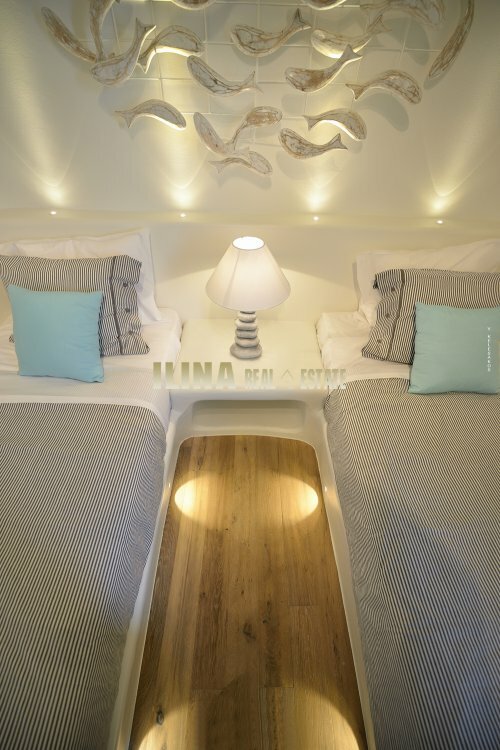 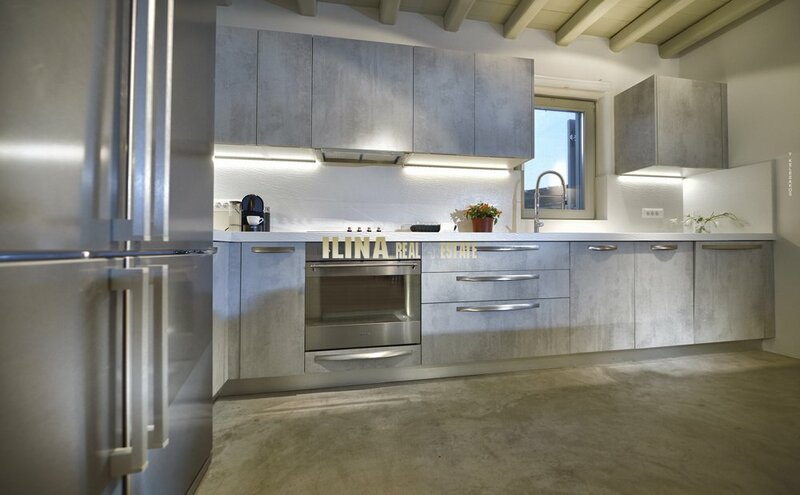 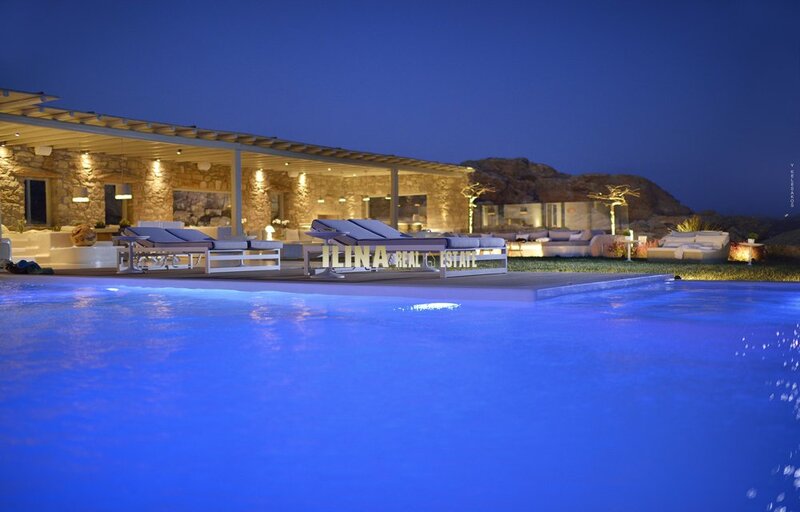 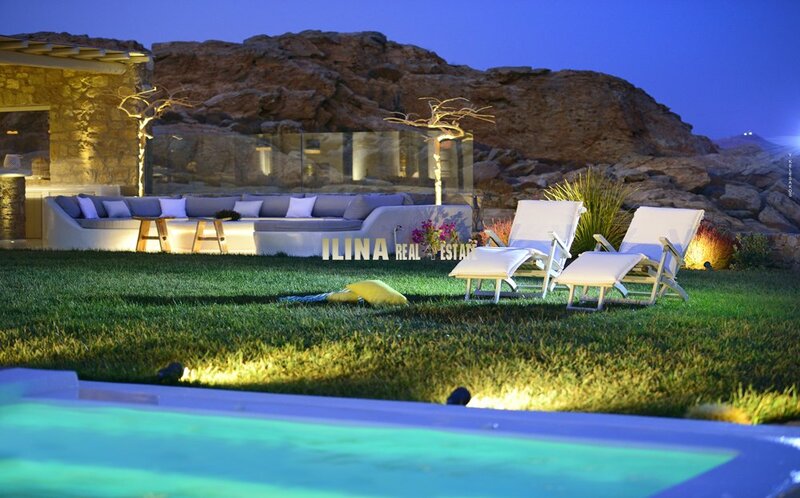 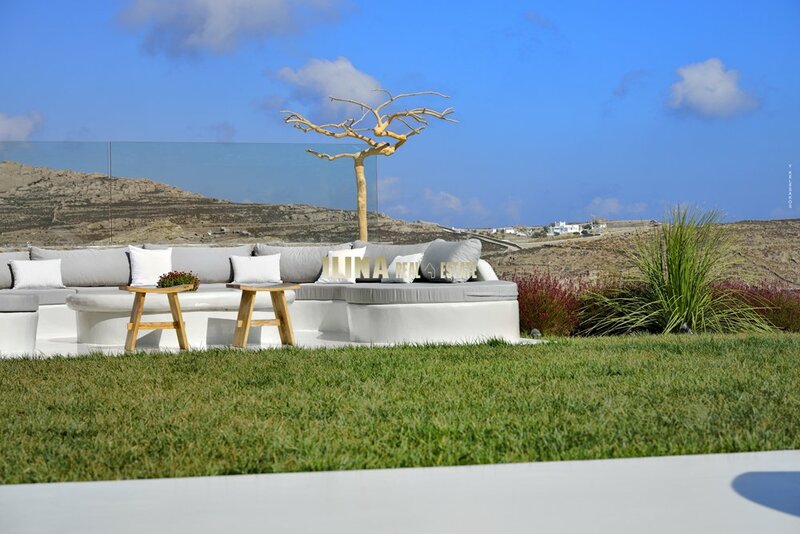 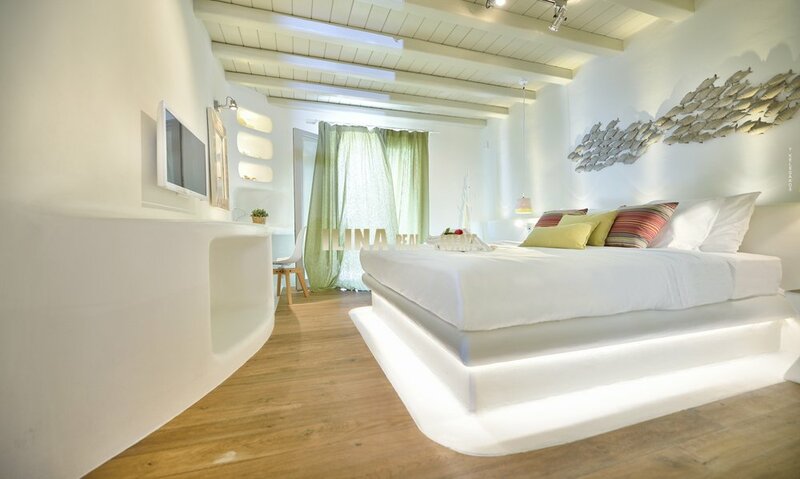 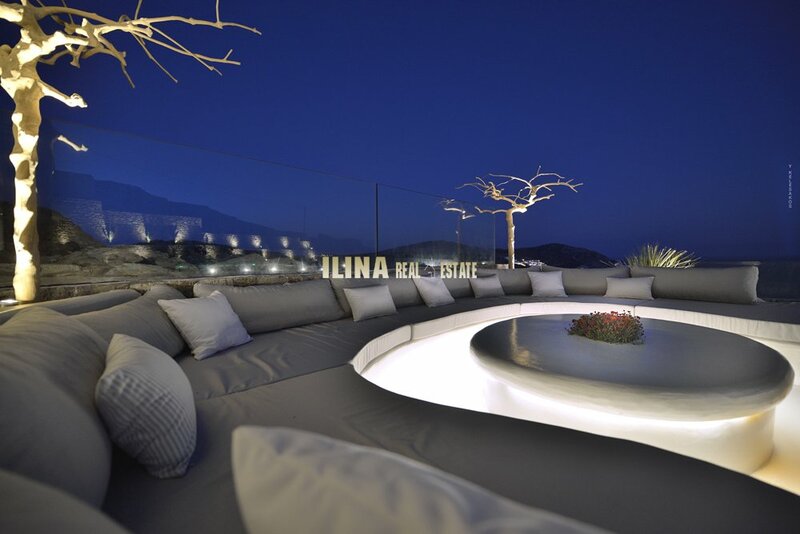 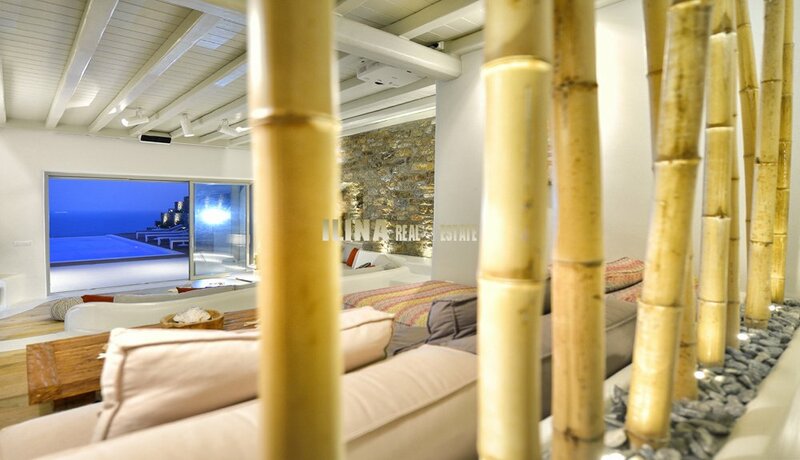 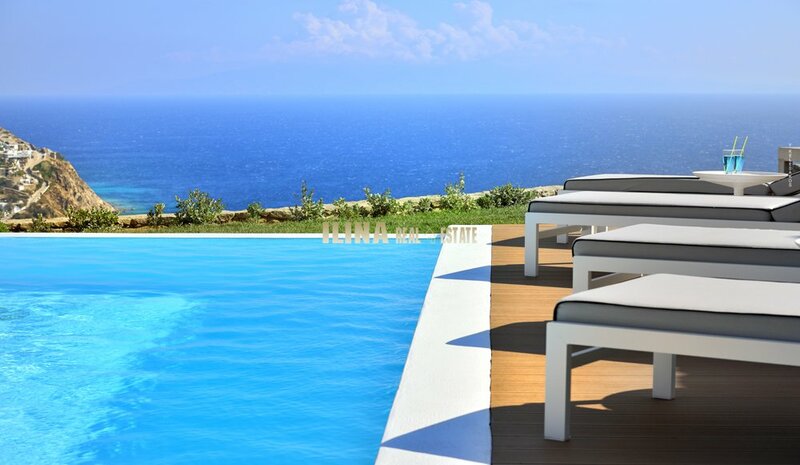 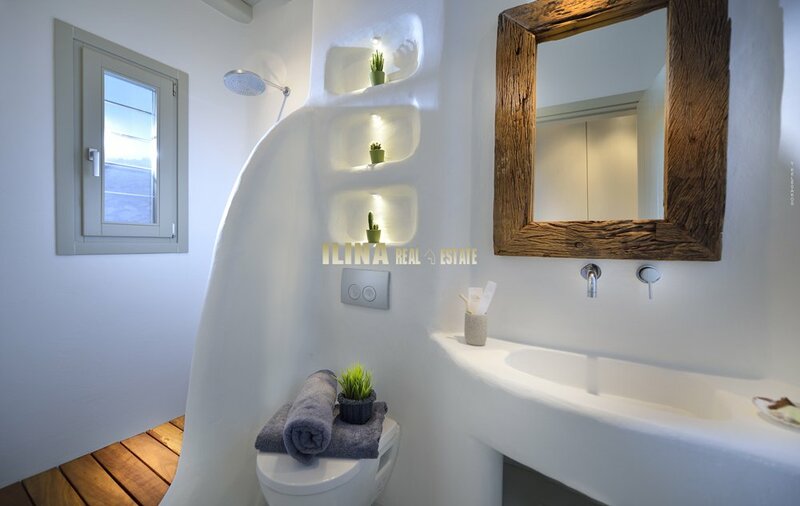 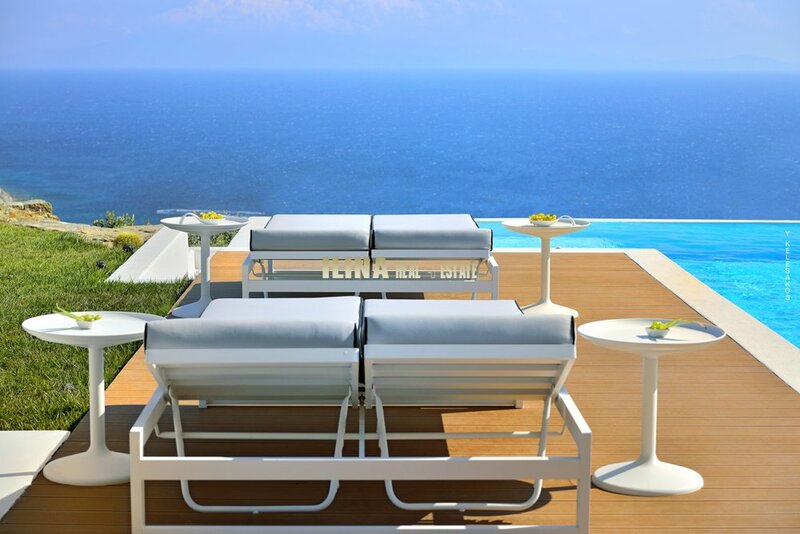 Ilina Real Estate :: Luxury villa for rent 6 b/r in Mykonos island 305 sq.m. 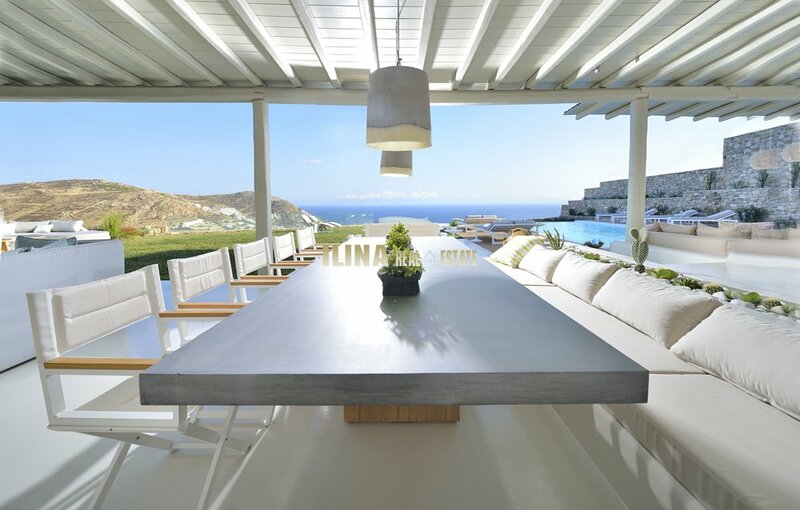 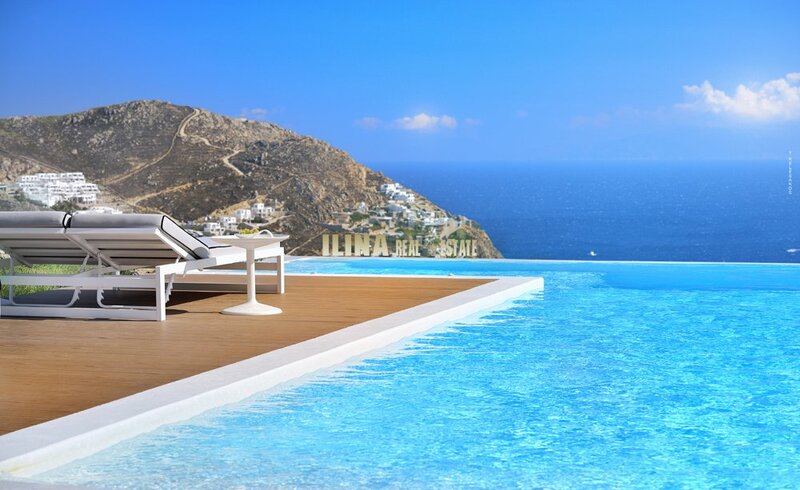 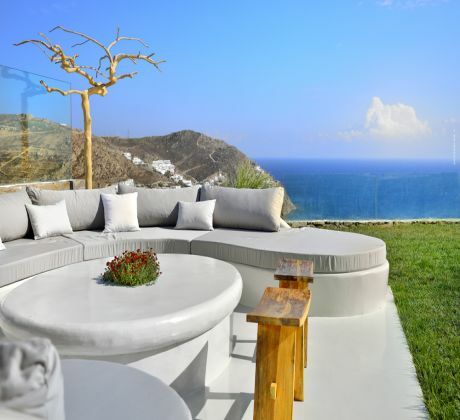 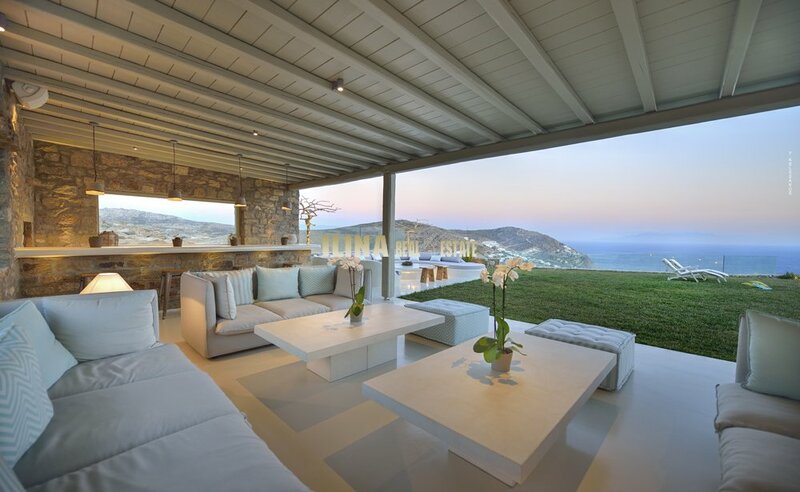 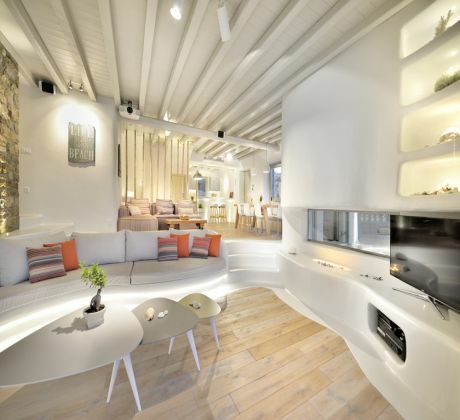 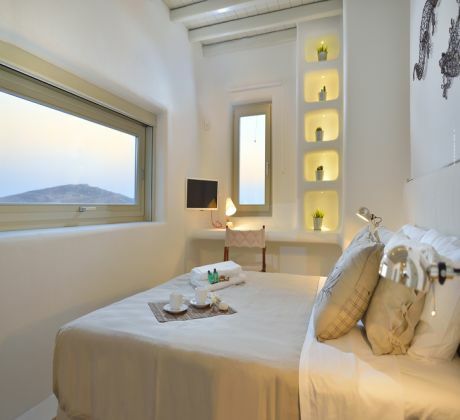 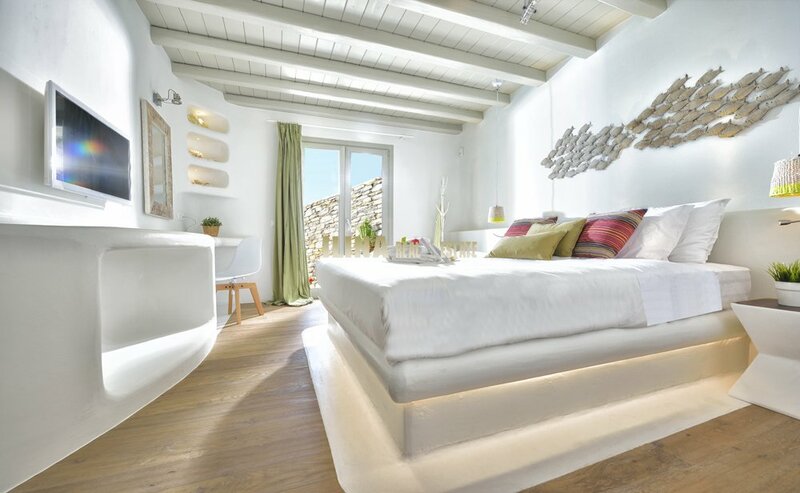 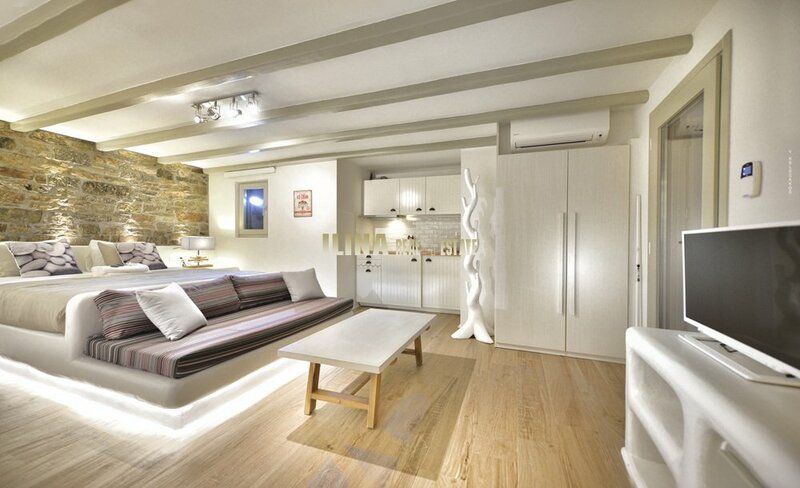 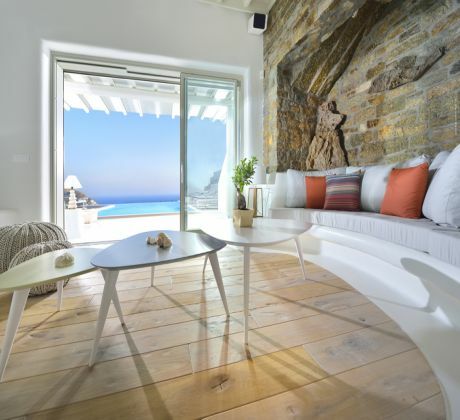 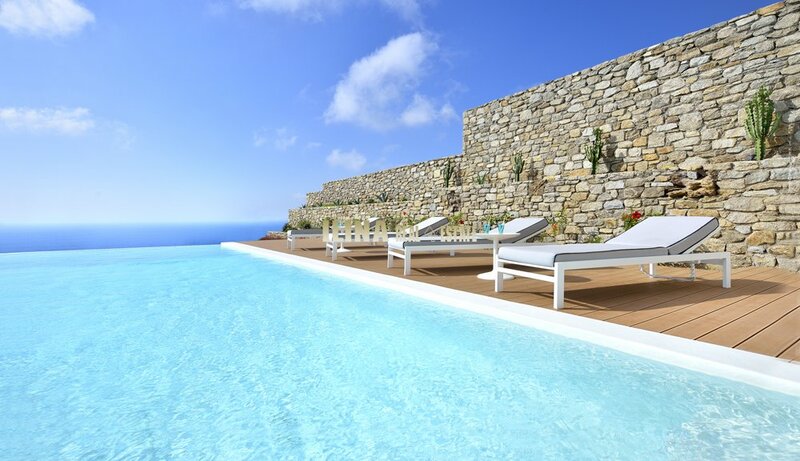 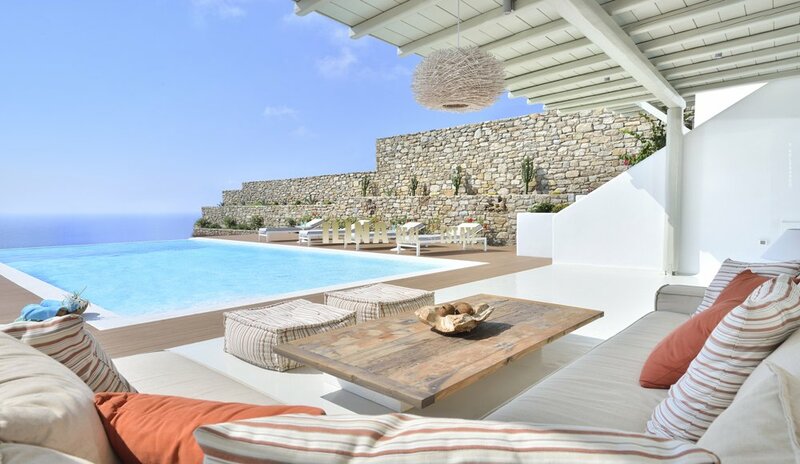 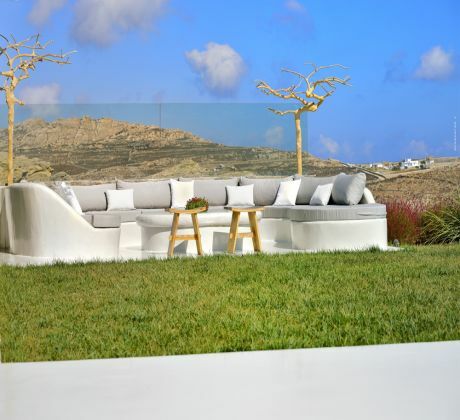 ID: BMG00017-E Luxury villa for rent 6 b/r in Mykonos island 305 sq.m. 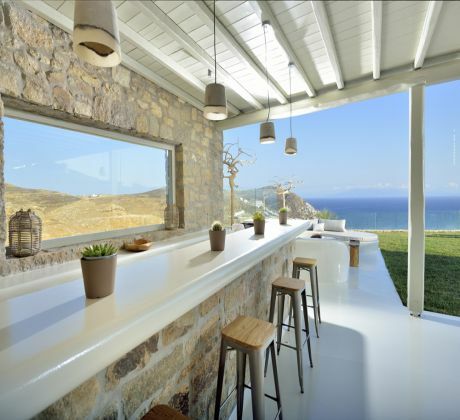 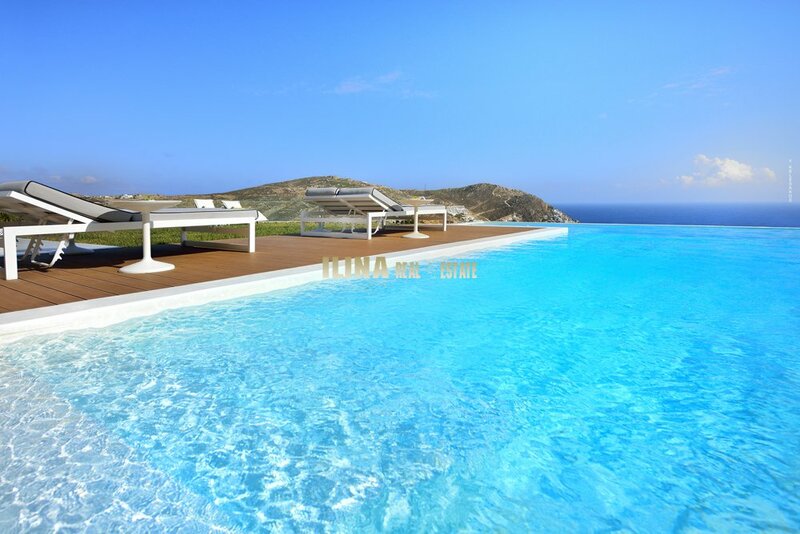 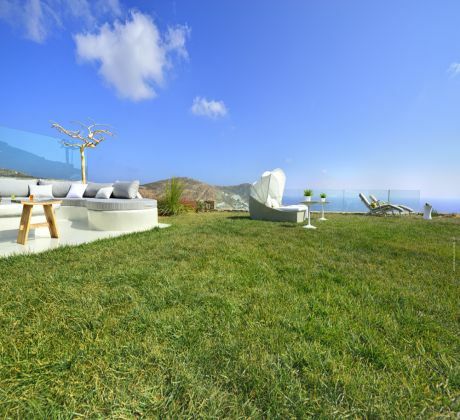 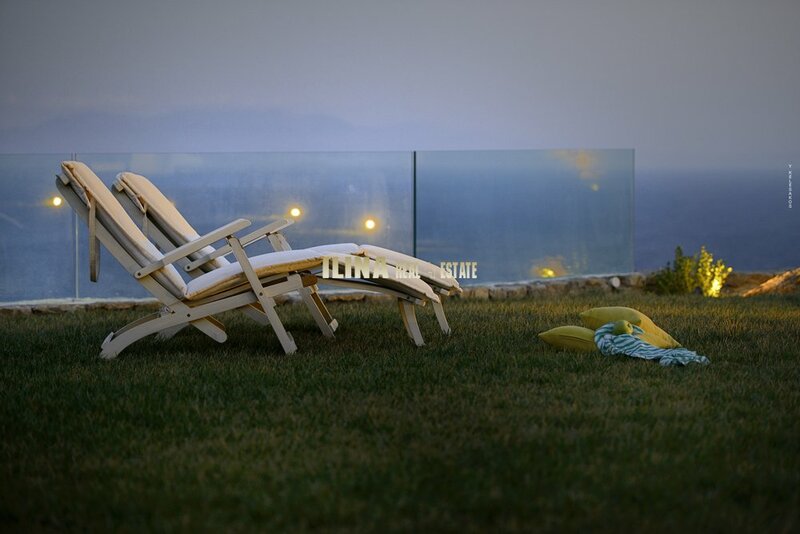 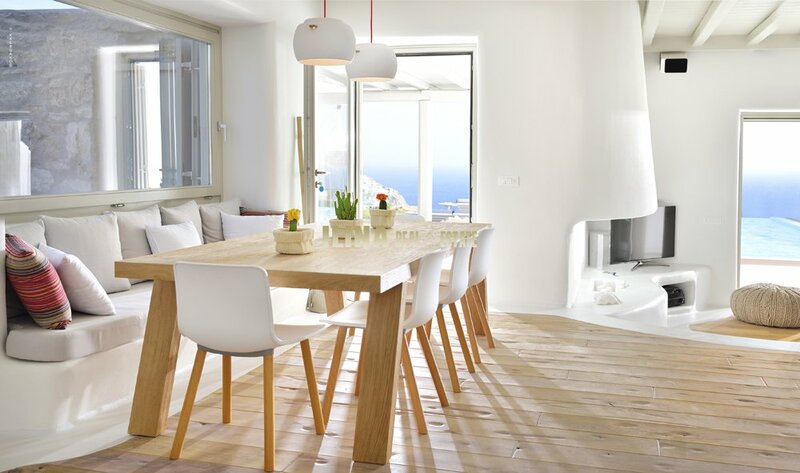 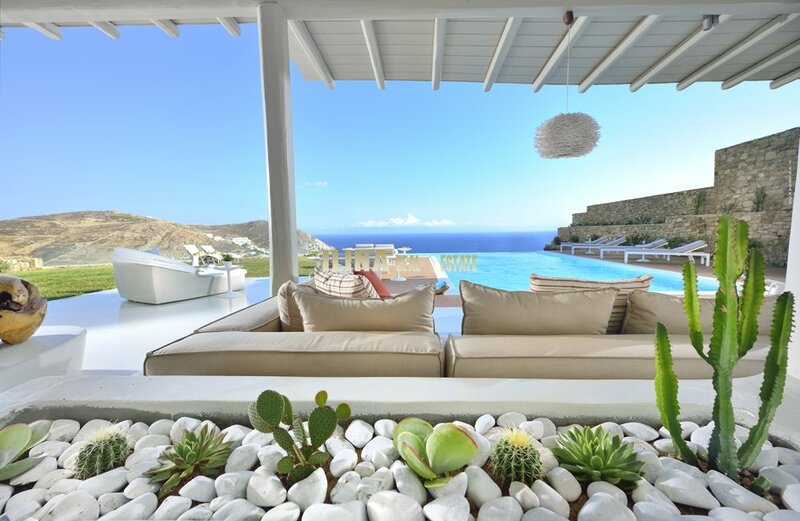 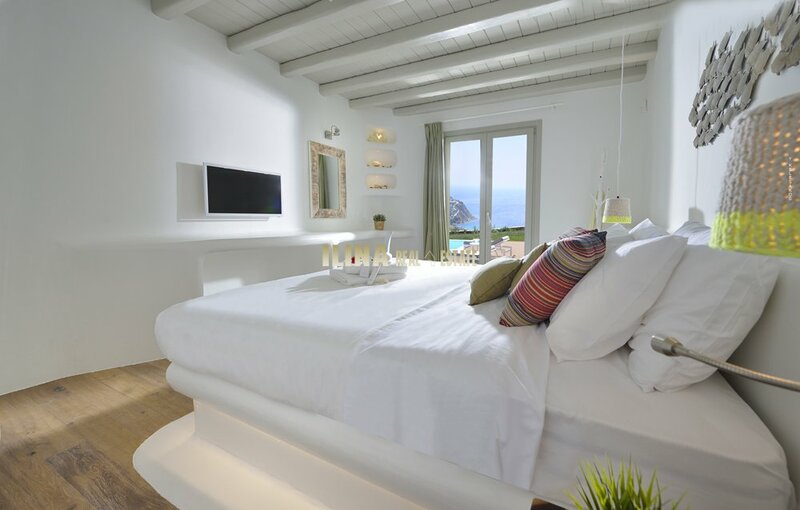 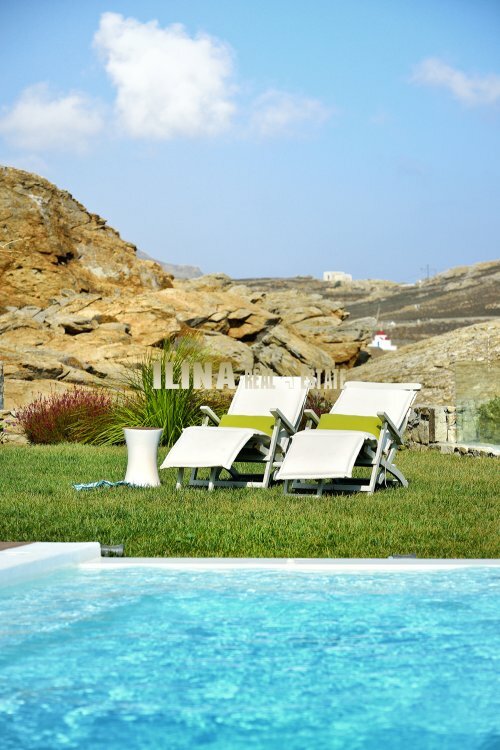 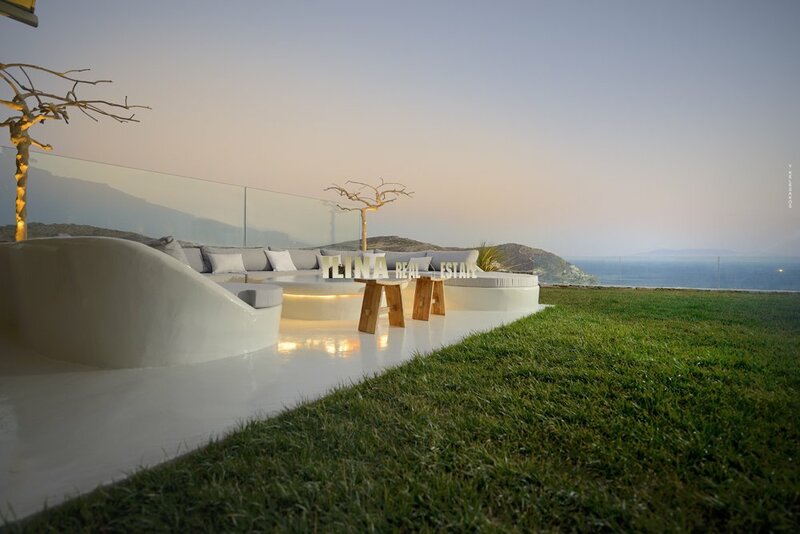 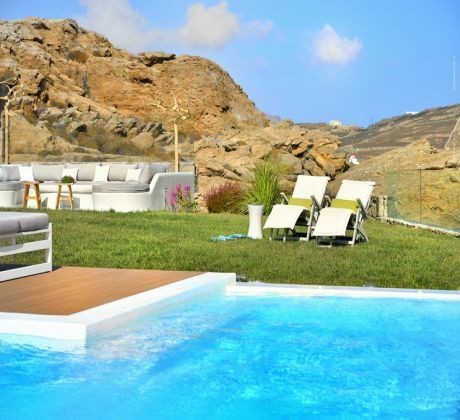 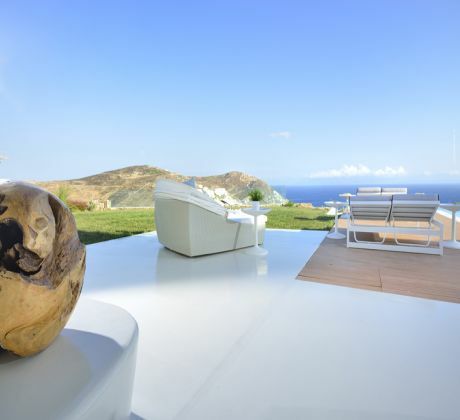 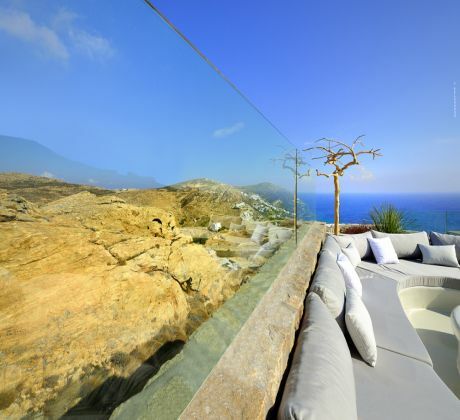 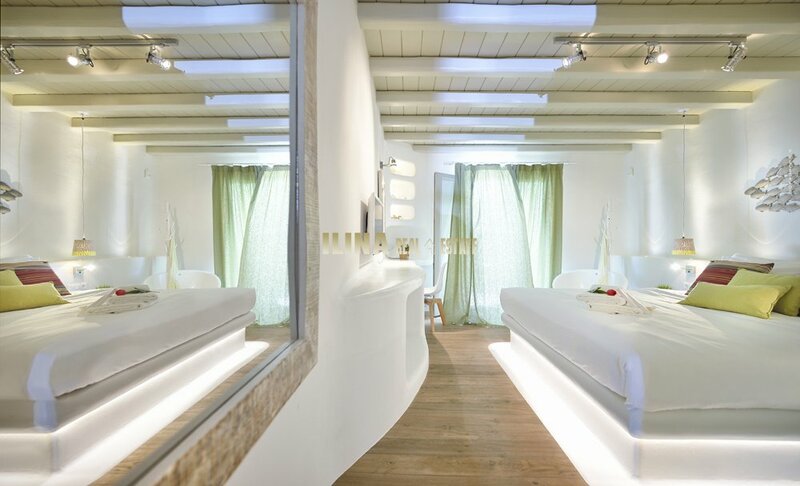 Villa is situated in the island of Mykonos and specifically in the region of Elia beach. You can experience this immense feeling between heaven and earth, once being there and while gazing at the everlasting view extending from Naxos island to the Icarian Sea. 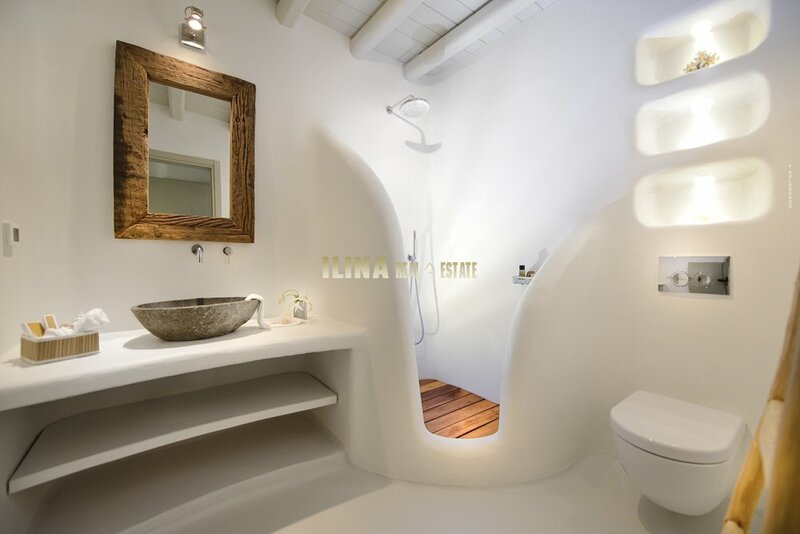 Designed by the awarded studio, G-Architects, villa of 308 sq.m., consists of 6 spacious bedrooms with en suite bathrooms plus 1 guest restroom. It has an abundance of indoor & outdoor spaces, which are luxuriously furnished to the highest quality and detail and according to the latest design trends. 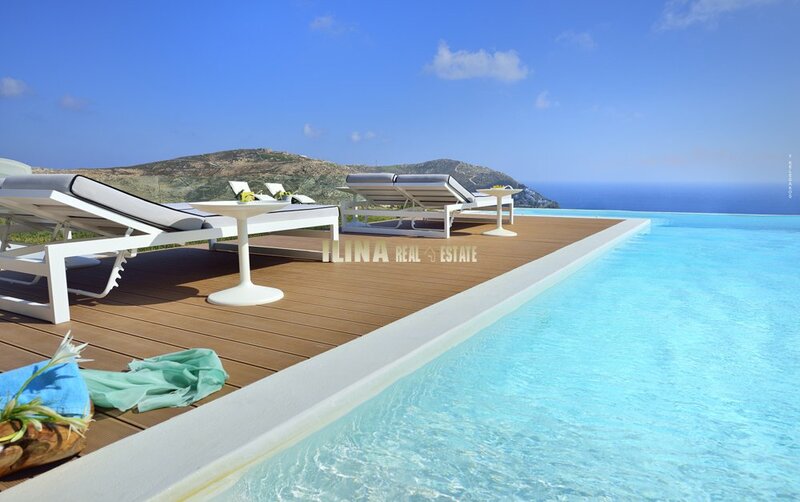 The large private swimming pool of 6x12sq.m. 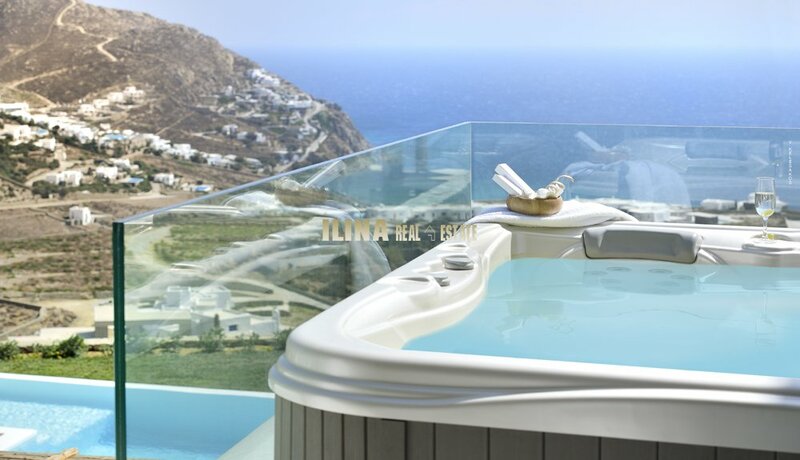 with its 4-person Jacuzzi, is surrounded by green landscape and its continuance is the deep blue sea (infinity pool). An extra air Jacuzzi can be found on the 1st floor balcony, next to the master bedroom, giving you the sense of sheer relaxation and wellness. From the large outdoor dining area (for up to 14 people), as well as the stone bar with the BBQ, and the built-in seating and sofas, which are all situated in the different outdoor levels, you can enjoy the unforgettable view. 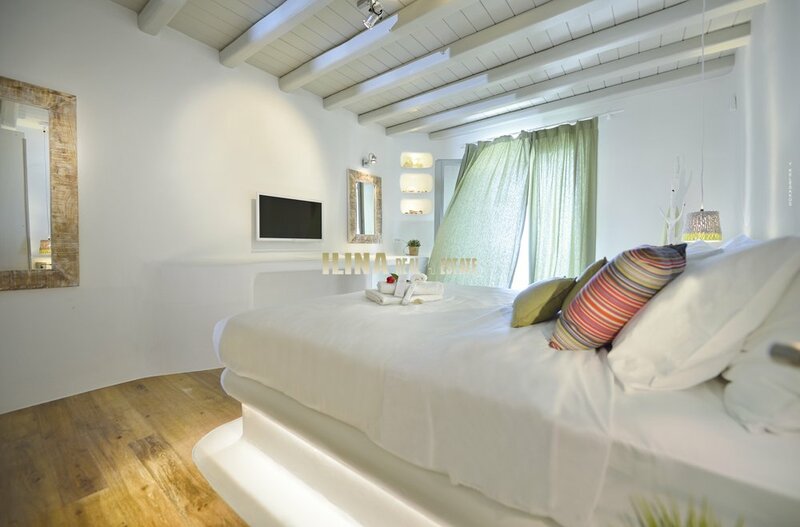 Villa is also fully equipped with the latest technology audio-video systems, including Smart TVs (in each bedroom) and a Home Cinema (Ceiling)Projector. 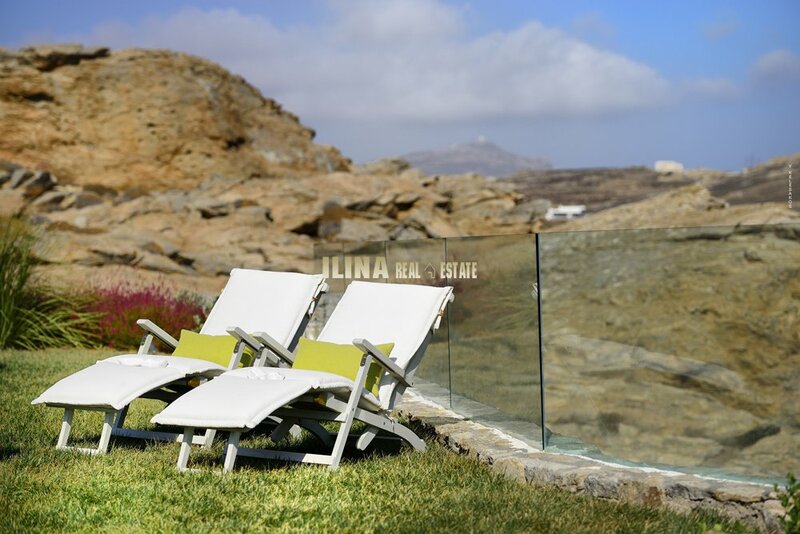 The region of Elia is less than a 20’ drive both from Mykonos Town and the island’s Airport and is situated just a few minutes from the picturesque village of Ano Mera with its traditional Monastery. 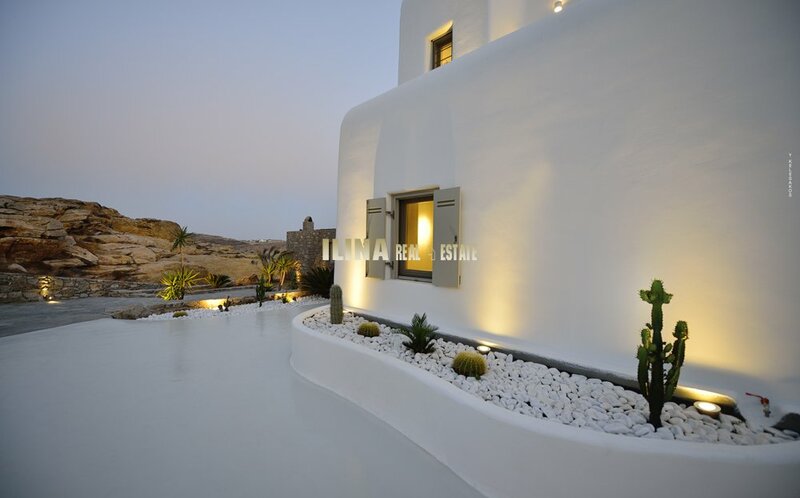 In Ano Mera you can satisfy your needs with tavernas, local bakery, pharmacy and supermarket. 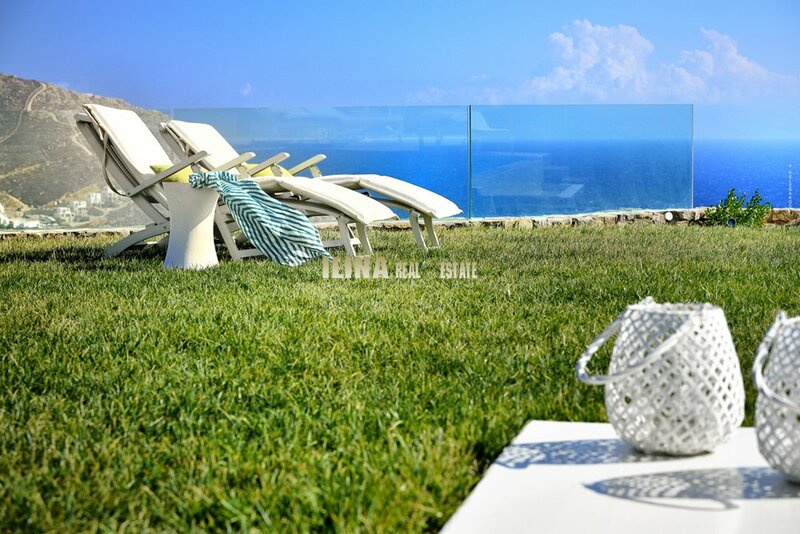 Apart from the beautiful Elia beach, there is access from a close distance to other well-known beaches such as Kalo Livadi, Agia Anna, Kalafatis and Lia. 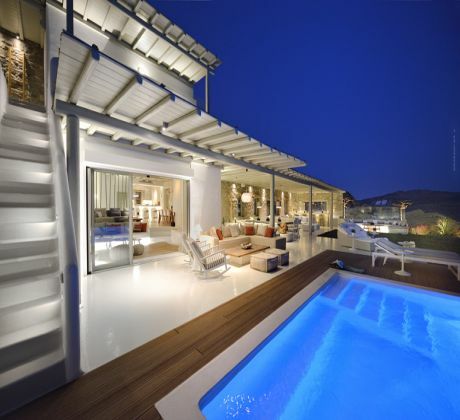 Last but not least, the villa has an exclusive use of a 2.000 sq.m. 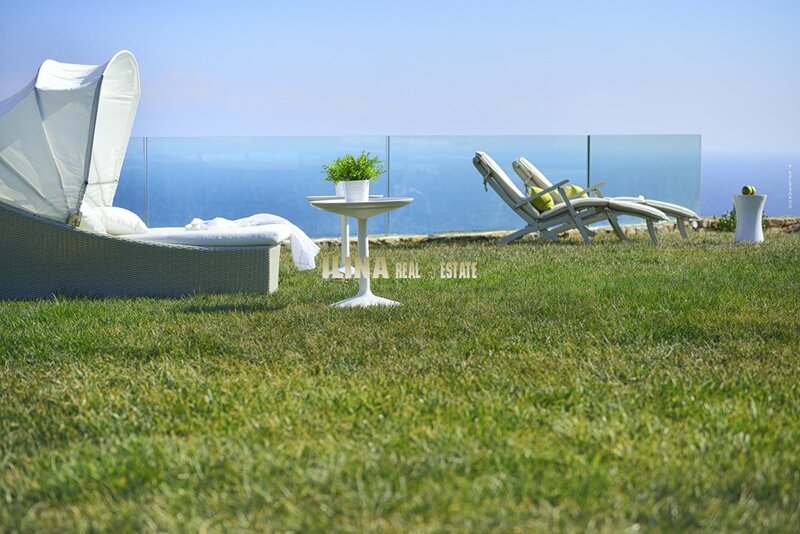 plot (2 acres) with flowers, cactus and other decorative plants, while it features a private parking lot of up to six cars.